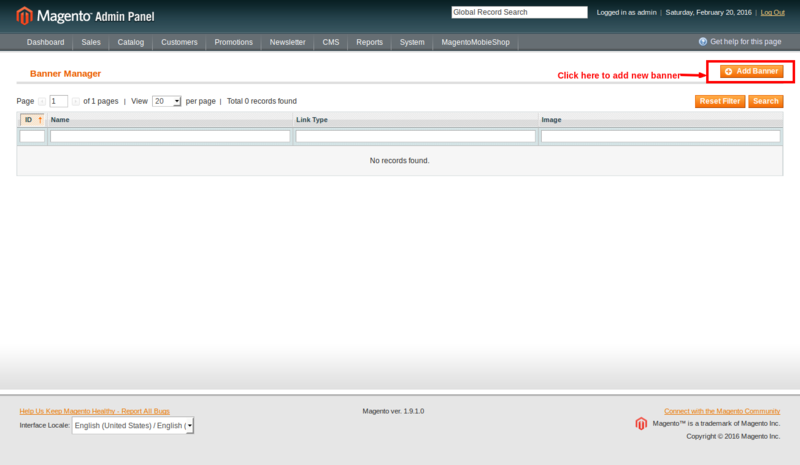 Step 1: Login to your Admin Panel. 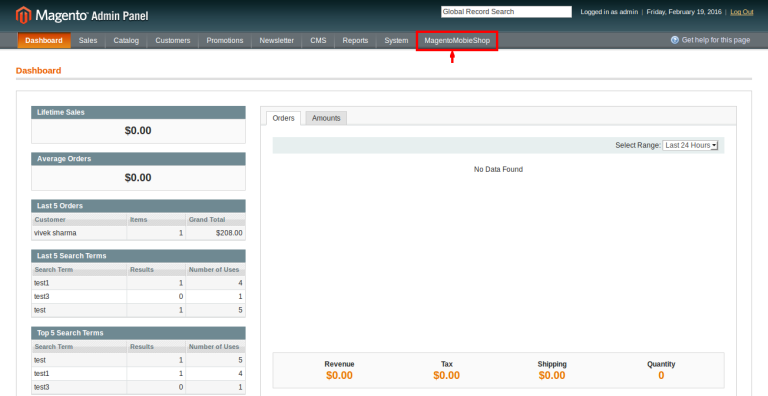 Step 2: Click “Magento Mobile Shop” tab in the top menu. 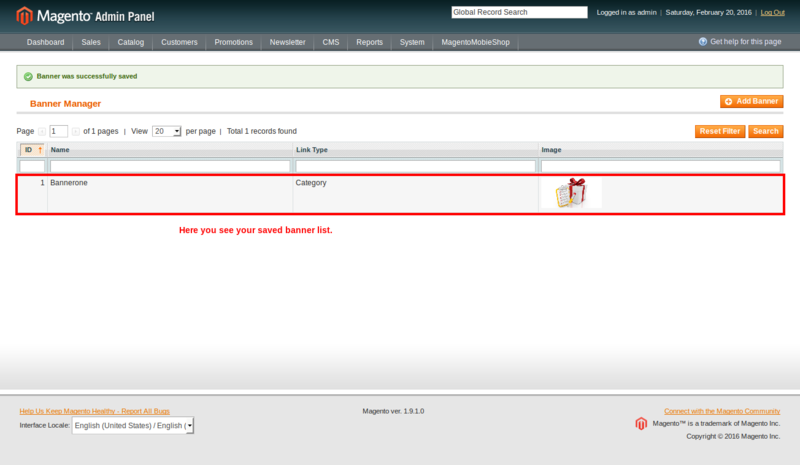 Step 3: From the drop down menu, click “Manage Banners” which will open a new window. Step 4: In the new window, click “Add Banner” button located in the right corner. Step 5: A new window will appear where you can update banner information such as Title, Image, Description, Order, Link with page, Product ID to display and Status to name a few. Click “Save Banner” button on the top right corner after filling the details. 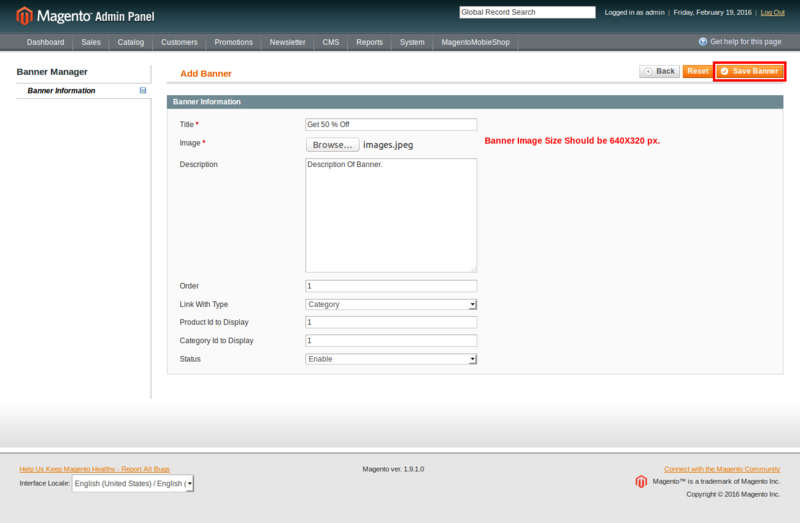 These 5 steps will help you add a new banner to your Magento Android or iPhone app conveniently. The new banner will be displayed in the banner listing in the Admin Panel.